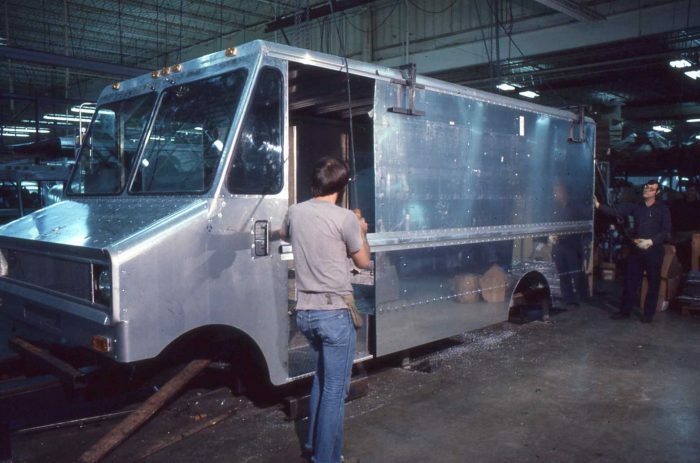 Working in fiberglass may seem like a departure for the company known for its iconic aluminum travel trailers, but a dip into the Airstream archive reveals a history of fiberglass experimentation. 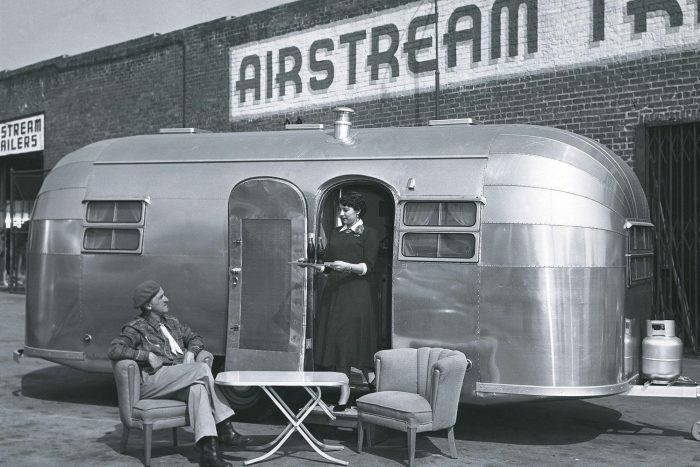 Airstream founder Wally Byam was a design pioneer, always searching for ways to improve his creations. 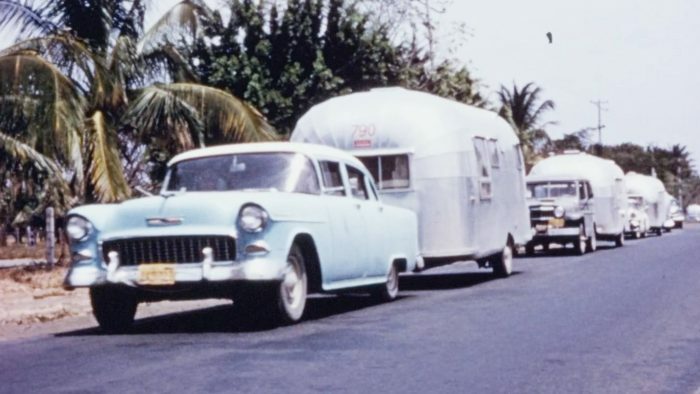 During the early 1950s, Wally experimented with fiberglass in the hopes of developing a less expensive, lightweight option to his familiar aluminum travel trailers. Ultimately his designs weren’t cost-effective and didn’t gain traction, but Wally’s ideas were some of the travel trailer industry’s first fiberglass designs. He may very well have paved the way for fiberglass RV development in the years that followed. Much of the credit for putting fiberglass on Wally’s radar goes to Marius Hansen, a Danish engineer who had extensive experience with fiberglass. He and his wife lived across the street from Wally and Stella Byam in Los Angeles in the early 1950s. First developed in the 1930s, fiberglass was originally known as “plastic fiberglass.” Combining plastic resin and thin strands of glass, fiberglass is strong, waterproof and resistant to dents. The first fiberglass boat was built in 1937, and soon after fiberglass was used to build everything from airplanes to automobiles. 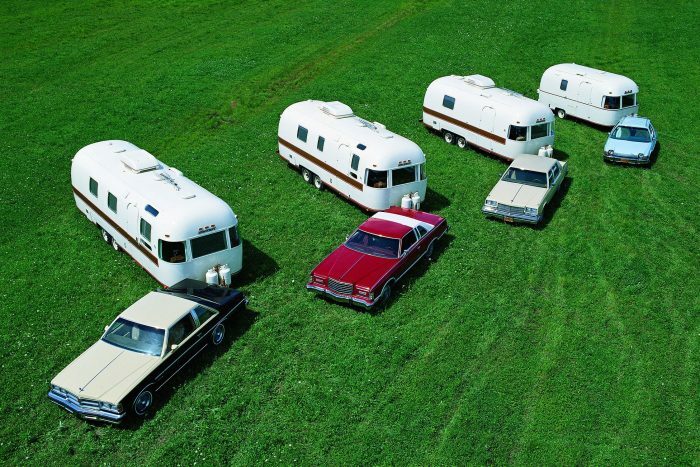 Today, fiberglass RVs are relatively common. But in the 1950s fiberglass had yet to find a place in the RV market. 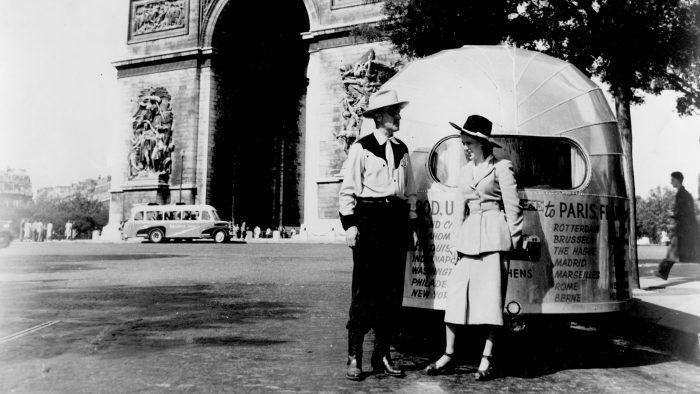 Marius Hansen and Wally became fast friends, and often discussed how Airstream could utilize the material. 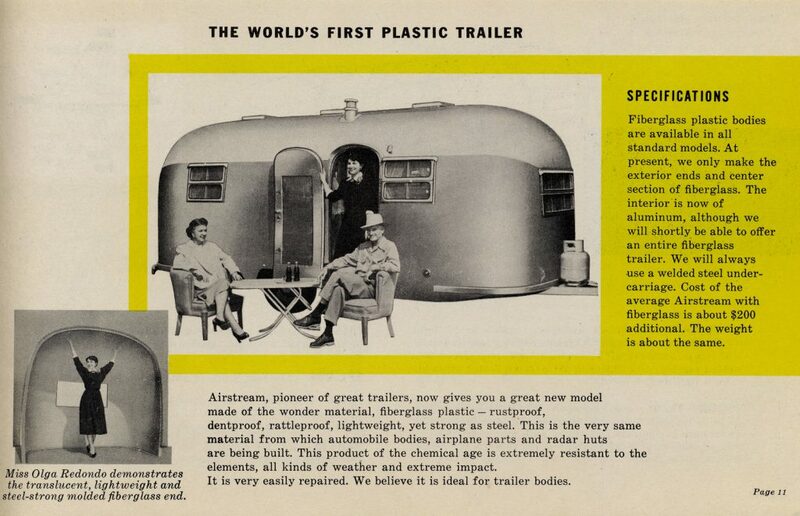 Wally eventually hired Marius, and in 1952 Airstream produced its first line of fiberglass travel trailers. Fiberglass molding allowed for construction of end caps that were single, molded pieces, and fiberglass panels made up the trailer’s sides. The interior featured aluminum sheets attached to the fiberglass shell (it was, after all, an Airstream!). One of the most unique fiberglass Airstreams to be built during this time was a custom 33’ blue and white model for Cornelius “Neil” Vanderbilt, Jr. 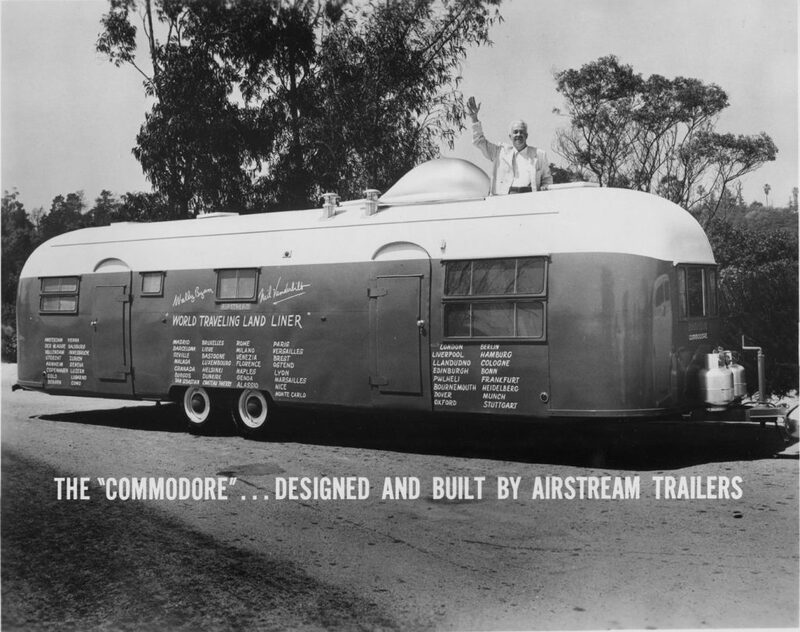 This Airstream was named the Commodore after Neil’s famous grandfather and was built for Wally and Vanderbilt to take to the 1952 Democratic and Republican National Conventions in Chicago. 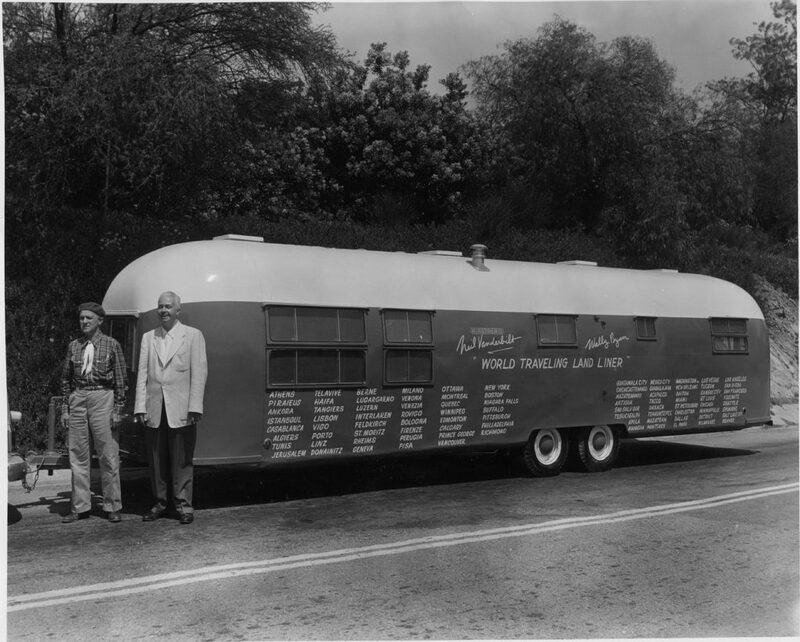 Vanderbilt wanted to write articles about the event and Wally saw an opportunity to promote Airstream. The Commodore had aluminum bows and an aluminum underbelly with fiberglass skin and molded fiberglass end caps. The one-of-a-kind Airstream also featured a plexiglass skylight, a TV, a short-wave two-way phone service, a bar, and a library. The Airstream was used to entertain elite visitors to the Conventions. During the one-week break between each Convention, Wally and his right-hand man, Andy Charles, left Vanderbilt and the Commodore to travel along the Midwest in search of a factory that would be suitable for the company’s expansion. The two traveled through Illinois, Indiana, and Ohio before they discovered a vacant factory in Jackson Center, Ohio, launching the next chapter in Airstream history. These early experiments in fiberglass travel trailers weighed about the same as their aluminum counterparts. The problem was that they cost significantly more. 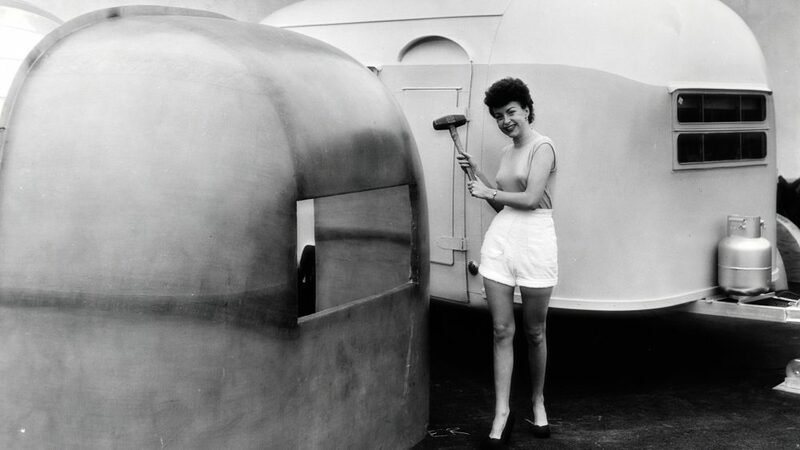 While Wally had high hopes for fiberglass Airstreams, ultimately they were discontinued without fanfare. One 17-foot Airstream fiberglass travel trailer entered company lore when “Pee Wee” Schwamborn and his mother Helen used it as an office on the 1955 Eastern Canadian Caravan. 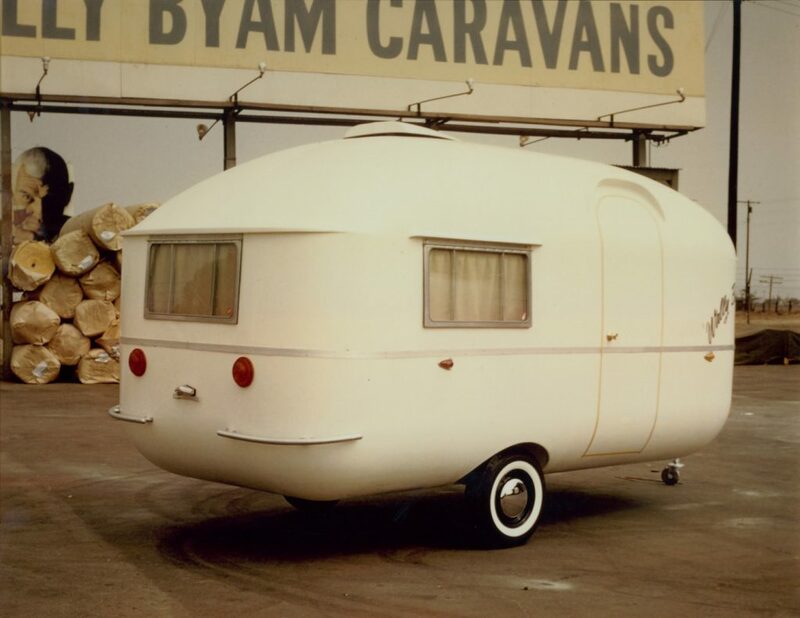 It was on that caravan that the Wally Byam Caravan Club International was established. While his first efforts fizzled, Wally continued kicking around ideas for a fresh design. 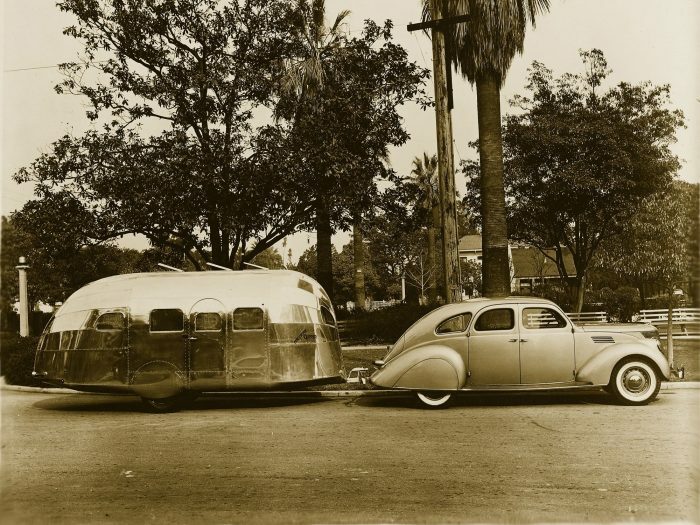 Instead of trying to mimic the familiar Airstream look, the new prototype was smaller and aimed at weekend campers. Nicknamed the “Wally Bee” and formed from two molded pieces – an upper and lower section – the prototype was built sometime in the mid- to late-fifties (sources differ on the exact year). 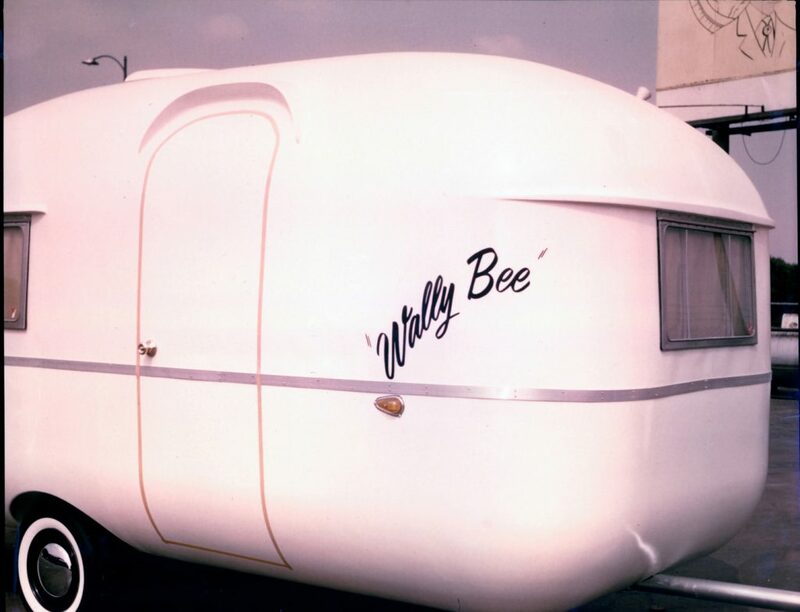 What is certain is that the Wally bee suffered the same cost-effective fate as Airstream’s earlier efforts. Still, it had many adventures and became something of a legend in the Airstream community. Magazine articles, letters, and interviews trace the Wally Bee’s story from experiment, to world traveler, to derelict, to impromptu moving van, and eventually to restoration. 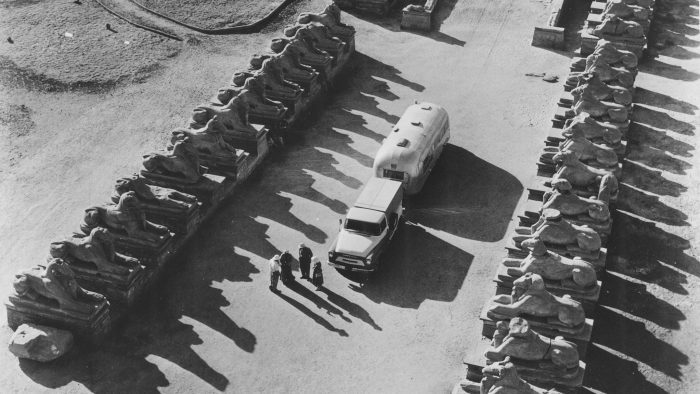 A company memo from 1962 indicates Airstream was investigating the feasibility of “the Easter Egg program” with a study of Marius Hansen’s fiberglass prototype. In an apparent effort to prove the Wally Bee’s road-worthiness, Marius set off in a Wally Bee on the 1962 Central American Caravan. A postcard he sent from Nicaragua that year locates the Wally Bee near the capital of Managua. His trial run was apparently not enough to inspire confidence in the design, though, and the Wally Bee disappeared from records only to resurface a decade later in a Texas backyard. Toni Ruiz and her husband Art were on the famed 1959 Capetown to Cairo Caravan. 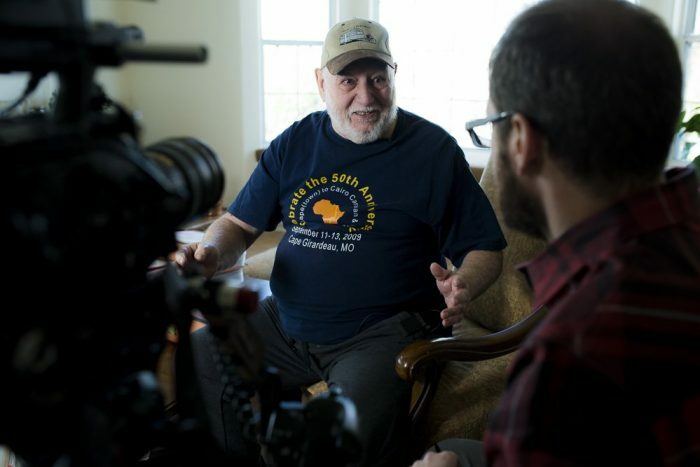 Art worked as a mechanic on the caravan, and he and Toni married while in Africa. By 1972, Toni was working at Airstream’s California plant. 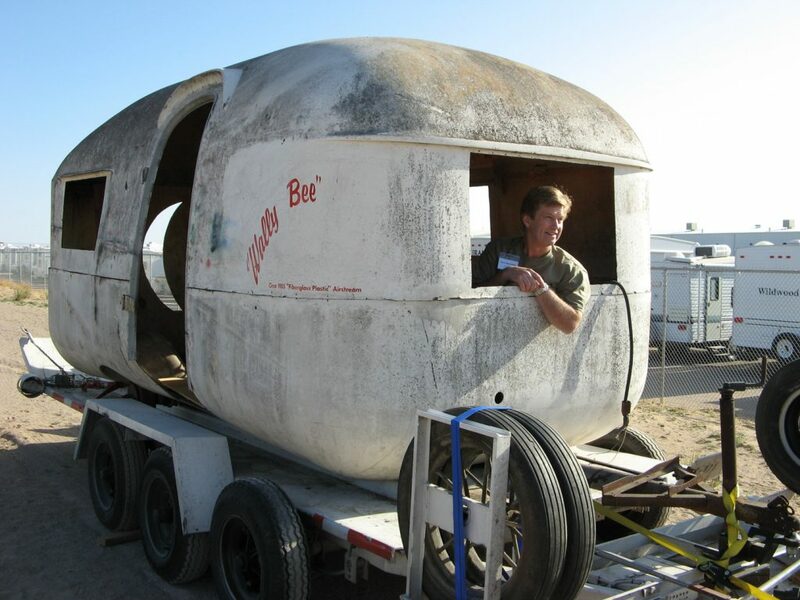 She and her husband decided to move to Texas, and acquired the Wally Bee to use as a moving trailer to haul their belongings. This Wally Bee didn’t even have a door (the “door” in photos is really just a piece of tape to indicate where the door would have been). The industrious couple cut their own door in the back of the Wally Bee to make it easier to load in furniture and other belongings. After arriving at their new Texas home, Toni Ruiz stored the Wally Bee in her backyard next to her swimming pool. She knew it held some historic relevance, but didn’t know exactly what to do with it. Three decades passed. The Wally Bee fell into greater and greater disrepair. A vintage Airstream newsletter in 1998 mentions the Wally Bee and how dilapidated it had become. It wasn’t until 2008 that someone was intrepid enough to take on the renovation project required to restore the Wally Bee to its former glory. He found the Wally Bee in terrible shape – tires flat, windows busted out, inside filled with trash and junk. Still, Luke couldn’t resist the challenge of rehabilitating the Wally Bee. At last check, the exterior had been renovated to pristine condition, and Luke often takes it to vintage Airstream rallies. He said he hopes to eventually renovate the interior, restoring it as close as possible to its original condition.